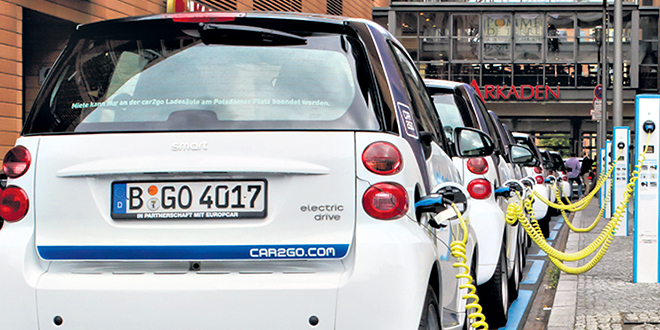 Electric cars: Almost 60 per cent of all new cars sold in Norway in March were fully electric, a global record as the country seeks to end fossil-fuelled vehicles sales by 2025. LESS than two years ago, Pope Francis received a new electric car from European vehicle maker Opel, to help the Vatican on its way to become the world’s first “carbon” free country. The gift was made during a conference about Pope Francis’s 2015 ecological encyclical Laudato Si’, that highlights the “intimate relationship between the poor and the fragility of the planet”. Electric vehicles are becoming big business around the planet. Almost 60 per cent of all new cars sold in Norway in March were fully electric, a global record as the country seeks to end fossil-fuelled vehicles sales by 2025. Last year, Norway’s fully electric car sales rose to a record 31.2 per cent market share (it was 20.8 per cent in 2017), far ahead of any other nation, and buyers had to wait as producers struggled to keep up with demand. It’s a different story in Australia where EV sales make up just 0.2 per cent of the car market. Other nations in the slow lane are China where EV sales are 2.2 per cent of the car market and the United States with 1.2 per cent. Labor wants to catch up with a pledge, if it wins office, to set a national electric vehicles target of 50 per cent new car sales by 2030, and 50 per cent for the government fleet by 2025. “Do we want to be a country stuck in the past? Or a country joining the rest of the world in the future?” Opposition leader Bill Shorten said launching his party’s climate change policy on April 1 with an emphasis on electric cars. Labor argues transport accounts for 20 per cent of Australia’s emissions, which can be reduced while at the same time helping Australians save money at the petrol bowser. “One of the problems is there’s not enough charging stations,” Mr Shorten said. New residential and commercial developments, as well as federal road upgrades would have to include electric car charging stations under the plan. As well as a national EV target, the plan would dramatically increase the number of electric cars in Australia by giving businesses a tax deduction of 20 per cent depreciation for private fleet EVs valued at more than $20,000. Norway has many bright ideas to help consumers swap to EV – plug-in electric vehicles (including plug-in hybrids) including access to bus lanes, free use of toll roads and ferries and free municipal parking. Mr Shorten aims to slash carbon emissions by 45 per cent by 2030. But at the moment Australia lacks federal policies to reduce or reverse petrol emissions, so it’s unclear how Labor would actually achieve its goals, especially if they remained reluctant to impose costs and tariffs on high-emitting cars – a strategy that has worked internationally. “Labor, as I understand it, are talking about taking in 10 years 0.2 per cent of the (electric vehicle) market to 50 per cent,” he told reporters in Canberra. Meanwhile, one Queensland company Ace EV launched its first electric vehicle on April 2 – Ace Cargo, a small delivery van that will hit the market at $39,995, to be followed up with a small ute, the Ace Yewt, and a city car. Ace EV claims its vehicles will slash running costs, with estimations of around $1.80 per 50km, compared to the petrol average of $9 per 50 km. The Logan-based company plans to build 100 Ace Cargo delivery vans by the end of this year, hoping to find a market with fleet buyers like Australia Post. All three models are based on a carbon-fibre reinforced plastic shell and will have a top speed of 100km/h. Cruising range will be between 150km and 200km and the Lithium battery packs are rated at 23.2kWh, according to Ace EV’s website. By comparison, the world’s largest vehicle manufacturer, Volkswagen recently announced it would build 22 million electric cars by 2028.